October 16, 2018 – (San Diego, California) October 7, 2018 Girls Rugby of San Diego hosted the first local Girl Scouts, Girls Rugby Day. 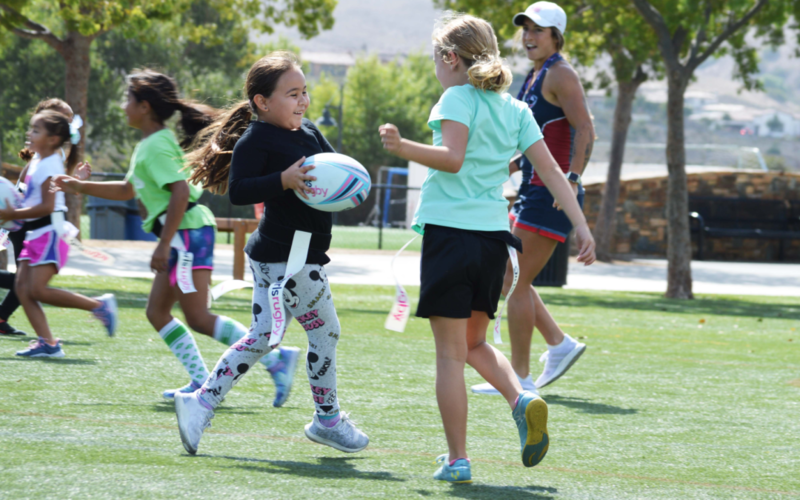 This was an opportunity for Girl Scouts in the San Diego area to try out rugby for the first time, earn the official Girls Rugby patch and meet current and former players for the United States Women’s National Rugby program. USA Women’ Rugby Athletes Deven Owsiany, Kate Zachary, Kelsi Stockert and Ryan Carlyle came out to help coach for the event with support from High School All Americans (HSAA) Abby Fearey and Kelly Tosheff. The day was filled with a bunch of activities including relay races, freeze tag, flag fury and an ultimate rugby round robin. With a turnout of over 100 girls the day was a huge success! 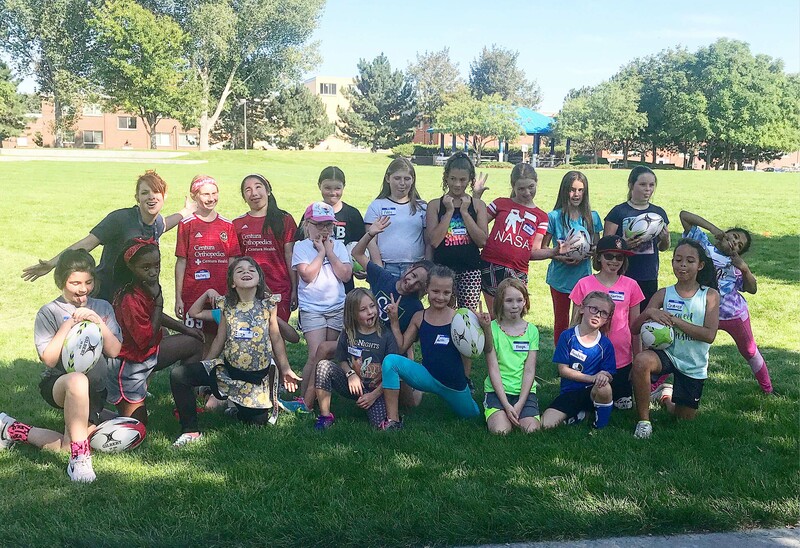 Earlier this fall, Girls Rugby of Colorado hosted a Girl Scouts, Girls Rugby Day in partnership with the Girl Scouts of Colorado. Not only did the participating Girl Scouts get the opportunity to run, pass, catch and kick the rugby ball, but after the Girls Rugby Day all the participants came together to watch the Glendale Merlins vs Berkeley All Blues Women’s Premier League (WPL) match at Infinity Park in Glendale, Colorado. All of the Girl Scouts who were at the match with Girls Rugby got the amazing opportunity to be ball girls for the event and also were able to participate in the halftime show by playing flag rugby! With a 48-21 victory to the home team, everyone was in high spirits! 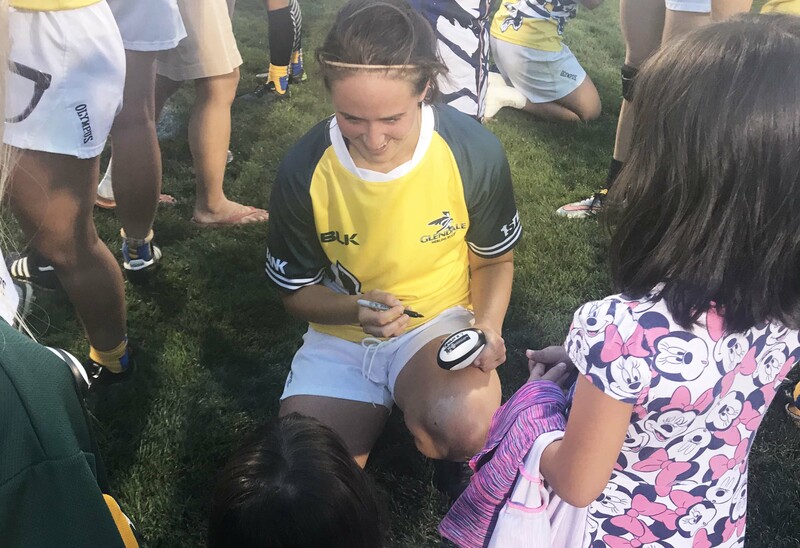 The girls were all given sharpies, booklets, and mini rugby balls for the players to sign and were able to ask the WPL players questions and take pictures with them on the field. Everyone left the field tired, happy, and ready for more rugby! Copyright of Girls Rugby Inc.